Now, notice I said MY perfect DIPA, not THE perfect DIPA. What tastes amazing to me may not be as good to someone else. So this article will focus on my struggle to brew MY perfect DIPA, but I think that what I’ve learned in this process will hopefully help others questing for the perfect hop bomb. IPAs and DIPAs are my favorite styles of beer, and tend to be what I brew the most of. There’s more to it though then just throwing a bunch of hops into the kettle without thinking about all aspects of the recipe and how they’ll blend together. A great place to start looking on tips for IPA and DIPA brewing is this homebrew blog: http://www.bertusbrewery.com/2012/08/how-to-brew-better-ipas.html That particular article has some great pointers that really helped me improve my hoppy beer, though its more skewed toward the West Coast style, while my IPAs tend to be of the newer Northeast Style. His entire blog is great too, definitely worth a read. There are plenty of world class DIPAs out there, but the ones that have inspired me the most have several things in common. Those beers are Heady Topper, Pliny The Elder, Surly Abrasive, Bissell Brothers Swish, and hoppy beers from Hill Farmstead, Trillium, and Treehouse. Breweries such as Three Floyds, Pipeworks, Firestone Walker, Victory, Lagunitas, Stone, and others all make great hoppy beers that have inspired me as well. Lets look at what makes these beers and other top tier hoppy beers great. Hops: Loads of em. To get an IPA to have the hop profile that these world class brews have, you have to use a crap ton of hops. I’m an active member on homebrewtalk.com, and it always blows my mind when people try and brew IPA and DIPA with only a couple ounces of late hops and dry hop. You need to be using a boat load of hops in these beers to be on par with the greats, especially late addition and dry hops. It hurts the wallet for sure, but in order to get that HUGE flavor and aroma its just a necessity now days. My DIPA’s tend to have an ounce per gallon or more for the dry hop. Hop choice is important too, and try to use hops that compliment each other. I personally am a huge fan of dank and/or fruit juice like IPAs, and I shy away from using hops that have more floral qualities. That’s just my personal preference. I’m a huge fan of Simcoe, Citra, Amarillo, Galaxy, Zythos, Mosaic, and a few others to get my fruity flavors from. Of course there’s also the old standby’s of Cascade and Centennial for a more grapefruit and floral experience if that’s what you want. To get that dank quality, I’ve been using a lot of Columbus and Apollo. They each have a pungent earthiness, but still have some citrus as well. Use a super high alpha acid hop to bitter with like Apollo, Warrior, Magnum, Columbus, and others. Hop extracts are a good way to go for bittering to keep the hop matter down, and both Heady and Pliny use extract. The beers I mentioned above all utilize some combo the hops I’ve mentioned here, but there are a ton of good hops out there that I didn’t list that impart various flavors that work well in IPAs. Experiment with these hops and others to see what works for you, but make sure you don’t skimp. Another thing to consider is freshness. Make sure the hops smell great to you when you open them, otherwise they aren’t going to smell great in the beer. 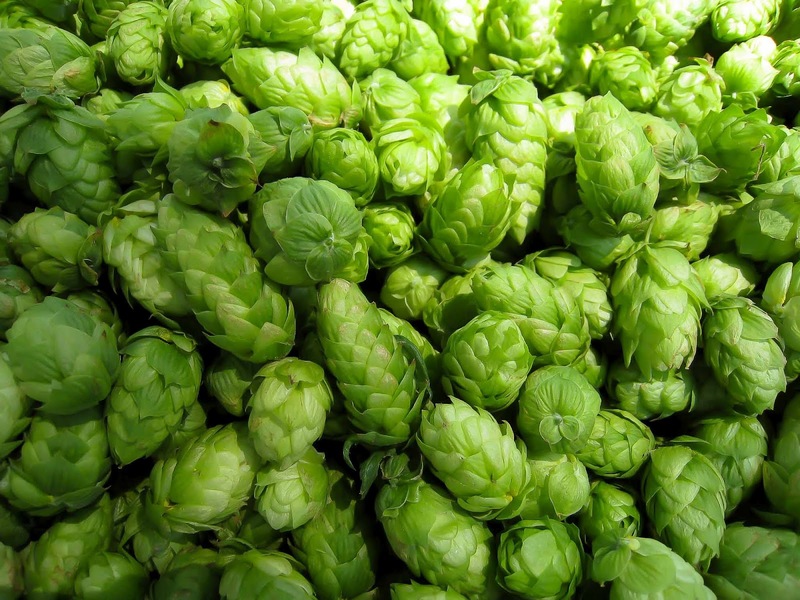 Old or improperly stored hops can lead to undesirable flavors in your finished beer. Malt: Malt of course takes a back seat to the hops in these beers, but it can’t be overlooked. You can brew a good IPA with some 2 Row and a bit of crystal, but many of the greats have a bit more to them than that. Thats where I differ in opinion with some of the West Coast IPA guys, and this is why I prefer Heady a bit over Pliny. Pliny is basically 2 Row and a small amount of Crystal. For my IPAs, I sometimes like base malt with a bit more to it than 2 row. Beers like Heady, Abrasive, and New Glarus Scream all use malts from the UK as their base, or at least part of their base. Heady uses Pearl as its base, Abrasive and another of my favorites, Bissell Brothers Swish, do a 2 Row and Golden Promise mix (Though Surly’s website now just says 2 Row for the 2015 batch), and Scream uses some Maris Otter. Using a base malt with a bready or slightly toasty flavor can give you a good malt base without having to use a bunch of specialty grains. There are plenty of great IPAs just made with 2 Row though, so don’t be afraid to go with the tried and true, I use it in some of my best hoppy beers too. 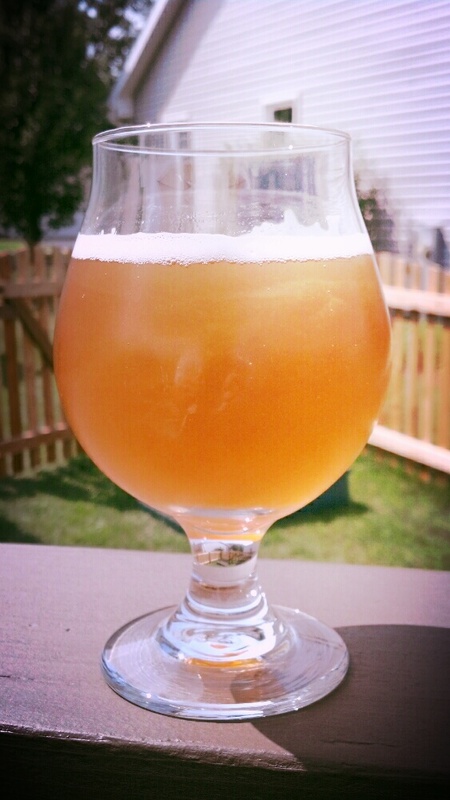 I’ve even used Pilsner malt as the base for an IPA, and it turned out great. No matter what you do with the base malt though, please keep the crystal malt low! Nothing makes an IPA more unappealing that that caramel sweetness distracting from the hops. I like to keep crystal malts to 5% or less of the total grist. Munich and Vienna malts are another good alternative to crystal to get some color and flavor without adding unfermentables. Wheat, carapils, and flaked oats are good ways to add body to the beer without adding sweetness to it, and I use all three of those often in my pale ales. Color: This kinda goes with the malt bill, but one thing I’ve noticed is that many of the new breed of great DIPA’s and IPAs have a light color. Heady, Abrasive, Pliny, Scream, Maine Lunch, Dinner, and Another One, Double Sunshine, Toppling Goliath King Sue and many others all have a fairly light SRM. Many of these great beers have a golden to orange color to them that is just beautiful. So again, careful with those specialty malts like crystal so you don’t muddle that color up. There are of course amber IPAs that are GREAT (Surly Furious for example), but I’ve found many of the typical copper/amber colored IPAs just don’t pop in the same way that the lighter SRM ones do, and its probably from overuse of specialty malts. Yeast: There’s some wiggle room in this area. The Conan yeast strain found in Heady Topper can now be found commercially, and I’m a big fan. I love the peach like and almost pineapple fruity esters that it throws off, and its a great choice for an IPA. I’ve heard it can have issues with attenuation, but I’ve yet to experience that. I’m also a fan of certain English strains for IPAs. One of my personal faves is White Labs 007, Dry English Ale. Yeast with a bit of a fruity ester profile can really compliment the hop profile of a beer. Just make sure to ferment in the lower to mid 60s so the esters don’t become a distraction. Good ol American ale yeast is always a good stand by though, and makes great IPAs too. They’re crisp and clean, and don’t distract from your malt and hop bill. The other big thing is choosing a yeast that attenuates well, since even a medium bodied IPA should still finish somewhat dry. Use some simple sugar to help the yeast out if need be. I’ve also become a big fan of Wyeast 1318 London Ale III, so much so that its become my house yeast! If you are going for a beer like those made by Treehouse or Trillium, 1318 yeast is the way to go, and its my personal favorite. This yeast will not typically clear when combined with large amounts of hops, and it really adds to that hop juice character found in those types of beers. Water: Water is something I won’t go deep into because…..well frankly I’m still learning and Chemistry sure as hell wasn’t my strongest class in school. What I do know is that the right water is important for brewing a great IPA. I won’t give specific levels because tastes are different, but I’ve found that a higher sulfate level is pretty important if you’re going more West Coast Style, less so with a more East Coast style. I like to start with distilled water then build my water with a couple gallons of my tap water and adding other minerals back in. There is a ton of room in this area to experiment though, so find what works best for you. I’ve begun experimenting with lower levels of sulfate and higher chloride levels as well. The reason for this is I’m chasing that Northeast IPA creamy smoothness you find in breweries like Hill Farmstead, Trillium, and Treehouse. Technique: There are several brewing techniques that you can implement to help brew the perfect IPA, and the clone recipes for the brews I listed above use them. I believe it is imperative to do a hopstand/whirlpool after the boil is complete to get maximum flavor and aroma out of your hops. In my opinion, take any hop addition in a recipe between 30 minutes and 10 minutes, and move them to five minutes and a hopstand/whirlpool. Use a lot of hops here since this is where a lot of your flavor and aroma will come from. There are of course different ways to do a hopstand/whirlpool, but I like to throw all my late hops into around 180 wort and let it sit for a while before I cool. I like that I can still get just a bit of bitterness from the hot temps while still getting that great flavor. Bringing the wort cooler before whirlpooling though will help retain some of those volatile hop oils, but won’t contribute any IBUs. Another important thing to consider is oxygen getting to the beer. Oxygen post fermentation is a hoppy beers worst enemy, and will muddle the flavors and aroma you’ve worked so hard to get into the beer. I personally don’t transfer my IPA to a secondary just to minimize the exposure to oxygen. Only open your fermentor when absolutely necessary. If you keg, always purge head space with CO2 after you open the fermentor, and purge your receiving vessel when transferring. Kegging has been the most dramatic step in improving my hoppy beers. That’s not to say you can’t make a great bottle conditioned IPA, but it’s certainly harder and will see the effects of oxygenation sooner or later. Be extra careful anytime you transfer the beer to minimize splashing. If you keg, my preferred transfer method is in a closed system to eliminate exposure to oxygen. I use a carboy cap with a racking cane stuck in it, and connect a gas line. I then connect the racking cane tubing to my beverage out line on the keg. Using a VERY low psi, I turn the gas on and the Co2 will start the siphon. Another technique that many brewers use is multiple stages of dry hops. I’ve read that the hops really only need 3 to 5 days of contact time with the beer to serve their purpose. Layering the dry hop can add more powerful and complex aromas. Keep in mind though that every time you dry hop, you may be exposing your beer to more oxygen if you aren’t careful or don’t purge your containers with Co2. My preferred method is to do the first round of dry hops while primary fermentation is just finishing, usually at around day 5 or so. The yeast is still somewhat active and should scrub off any oxygen introduced. You may lose a bit of aroma to the active yeast, but the reduction of oxygen and the layered dry hop effect is worth it. At about a week and a half to two weeks, I add a couple bags of the second round of dry hops into the keg. I suspend the bags from UNWAXED dental floss. This enables you to fish the bags out if you want to remove them, or it keeps the hops away from the dip tube if you leave them in. I hope this information may help you in your quest for your perfect IPAs and DIPAs like it has for mine!